Rutter’s truck stop would not be able to offer video gambling at its convenience store location in the state of Pennsylvania. The beginning of the week saw the Strasburg Borough’s zoning board vote 5 to 0 to reject Rutter’s bid to operate five video gaming machines. The owners of the Rutter’s truck stop had sought to be granted with a special exception for commercial use which allegedly was not provided. The Strasburg Borough council was not the one to decide on the zoning matter, but its opinion was officially noted as opposition to the truck stop’s pledge. An official explanation of the zoning board’s decision would be provided by the board’s solicitor Joseph Kenneff within a fortnight. According to Lisa Boyd, a Borough manager, local council members were pleased with the decision of the zoning hearing board. Rutter’s, on the other hand, will be able to appeal the rejection to Lancaster County Court. For some time now, video gaming terminals have become extremely popular among Pennsylvania residents. 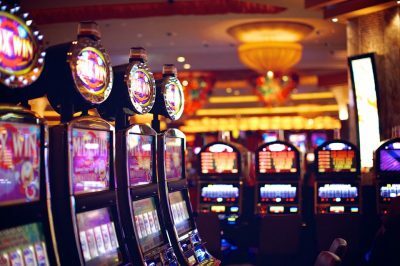 Currently, there are 61 truck stops in the Borough of Strasburg which have shared their willingness to install the machines and offer this form of gambling to their customers. 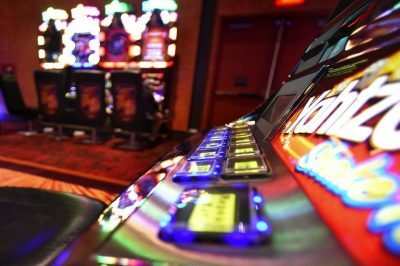 The rising popularity of VGTs, which are also known as slot machines, has prompted mixed reactions from Strasburg residents and officials, with the opinions being pretty much divided on the potential benefits and negative effects that can be brought to the local community by the addition of video gambling. Despite the fact that late in 2017 the state legislators passed a piece of legislation under which gambling options were expanded in Pennsylvania, some Strasburg Borough officials have shared concerns related to gambling at local convenience stores. Steve Echternach, Strasburg Borough Police Department’s Chief, had said that additional gambling options could boost the criminal activity in the small, mostly residential region. According to him, an expanded number of gambling activities would not necessarily have a positive effect on the local community. Previously, some officials have shared that the addition of gambling machines to local truck stops and convenience stores is a move which effects could hardly be foreseen. Pennsylvania’s Gaming Control Board has provided Gap Citgo truck stop with special conditional approval for so-called VGTs (video gaming terminals) along a commercial strip of Route 41. As explained by the Gaming Control Board’s spokesman, Doug Harbach, conditional approval in question means that the application meets the law’s specific requirements about pending verification of the information. Harbach further noted that applications for the addition of video gaming machines at three more convenience stores in Lancaster County – Rutter’s in Upper Leacock Township, Rutter’s in West Hempfield Township and Lancaster Travel Plaza in East Lampeter Township – are still pending. A total of 64 truck stops across the state of Pennsylvania have filed applications to operate video gaming machines, with 23 of them having already been granted conditional approval. None of them have been brought to Pennsylvania’s Gaming Control Board for final approval.